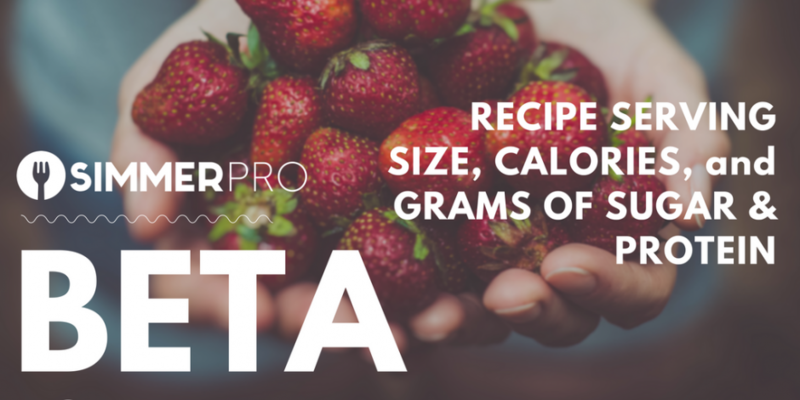 The first version of Simmer Pro, a recipe plugin for WordPress nutrition information is released for download to members ahead of schedule. Find Simmer Pro 0.5 Beta in Account > Downloads in any active Small, Medium or Unlimited Simmer membership. 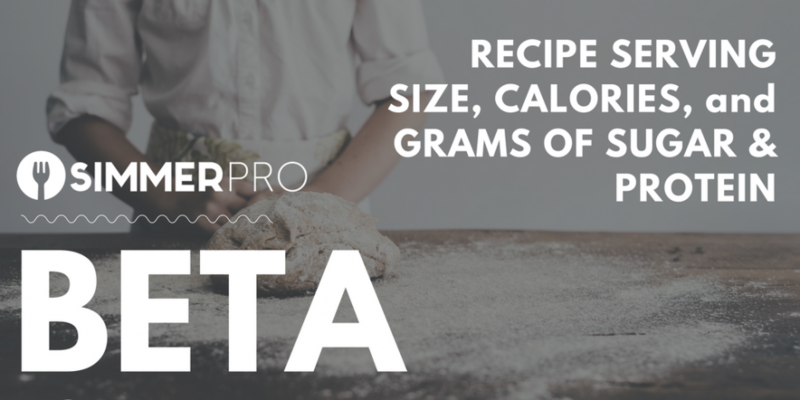 Simmer Pro features Google and schema.org enhancements for recipe nutrition content. Simmer Pro is only available to subscribers with an active Small, Medium or Unlimited Simmer membership. To install this plugin to your WordPress application, buy a membership and then access your Simmer Pro download and license key from Account > Downloads, or contact customer service to schedule quick installation and testing services. 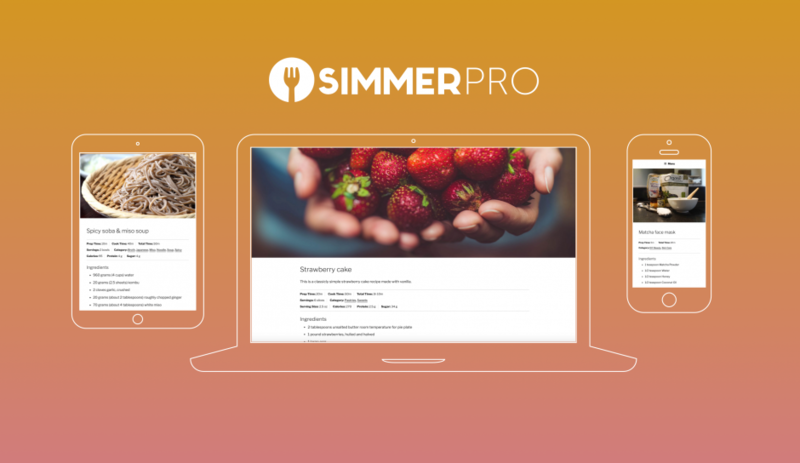 Recipes by Simmer Pro integrate seamlessly with any high-quality WordPress theme or plugins. If your business is already invested in a custom WordPress theme, Simmer Pro customer service will adapt the plugin’s software to any custom theme styling requested. Simmer Pro is optimized for the Twenty Seventeen default theme on WordPress 4.7 Beta 1, a landmark release for both the merging of the first core REST API endpoints and an exceptional new default theme. Simmer Pro is also engineered to integrate seamlessly with Kitchen, our newest responsive WordPress theme for eCommerce by WooCommerce and recipes by Simmer. 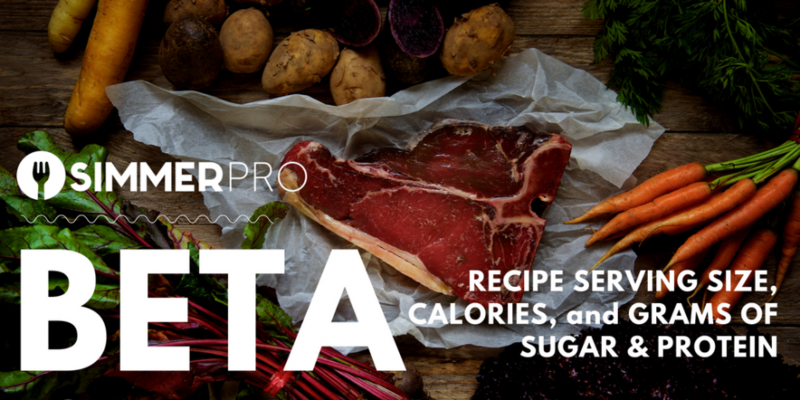 Recipes in Simmer Pro include custom hooks and endpoints any developer proficient in WordPress’ style of PHP can build into and extend, including individual nutrition information output. Members can request customer service or support of any type for WordPress or Simmer through customer service. Simmer Pro supports a variety of pre-tested 3rd party plugin collaborations, detailed in the members only documentation and demo in version 1.0. A roadmap of future releases of Simmer Pro is found below. At this website Simmer members can manage software downloads, licensing, customer service, training, support, and content from any device. When contacting customer service, members can share any examples online, including from our blog to start the development process with a representative of our team immediately. WordPress 4.7 and the marks the transformation of WordPress into a software development kit (SDK), with content endpoints in the REST API fully merged. The evolution of a more robust, RESTful API in the core of WordPress in the long and short terms translates into greater engineering capabilities any business can leverage. WordPress is the most cost-effective solution to bring solutions on the web to scale for businesses developing new products today, and we are certain this SDK will meet the complex and constantly evolving technological requirements of contemporary interfaces and devices. Go to Recipes > Add New to start creating! Simmer Pro will follow a system of significant UI updates in major point releases, feature enhancements in point releases and maintenance and security fixes in minor point releases 0ver the next five years. Volunteers who contribute as developers to Simmer Pro will receive a free Unlimited membership and developer training; contact sales to redeem. Simmer Pro 1.0 includes a demo and complimenting documentation for the PHP and supporting languages of this software. Both technical specifications and abstract strategy are included in Simmer Pro documentation and as starting points for a conversation with customer service. Installation and configuration instructions are also included to configure this plugin with aggregate star ratings and other Google Structured Data best practices for recipe content. Simmer Pro 1.0 documentation is configured for WordPress 4.7 Beta and the Twenty Seventeen theme by default, although all directions will fit any high-quality WordPress theme. Also included are new PHP functions for recipe nutrition content. Simmer Pro documentation is only accessible to customers with an active Simmer membership and subscription, providing a great starting point for customer service. The members only blog also provides topics for further study and personalized strategy work with our team. Beta will be completed with Simmer Pro 1.0 in November 2016, available to members in the Downloads section.